Whether you have fine art and antiques, lab equipment, or a trade show to move seamlessly, rely on SeaCure Moving, Inc. to provide the custom solutions your family or business needs. SeaCure has been moving and storing high-value items flawlessly since our inception over thirty years ago. Our specialized movers in New Jersey have a proven track record of managing even the most complex household, laboratory and trade show relocations. 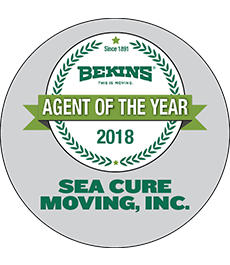 For a long history of quality service and customer satisfaction, SeaCure has received BBB-accreditation and ProMover membership in the American Moving & Storage Association (AMSA). SeaCure provides a number of luxury New Jersey specialized moving services that many other movers in the area simply can’t. To prepare your home for the market, we can organize interior decorator receiving and delivery, decluttering, and home staging services. Our highly-trained team members are professional packers who can build a sturdy custom crate that will keep even the most delicate electronics, lab equipment, and furniture safe during transit. If your hotel requires FF&E installation, our New Jersey specialized movers will ensure the seamless management of your project every step of the way. Interior Decorator Receiving & Delivery: We can warehouse and deliver your products seamlessly to your customers as they prepare for their in-home installations. Decluttering Services: If you need to downsize or make your home attractive to potential buyers, our decluttering services will meet your needs. Home Staging Services: We’ll store your extra items to help you maximize your space and give you the advantage you need in the real estate market. Packing & Crating: Our specialized movers in New Jersey can pack and crate your items securely, so they arrive at your destination in top condition. Trade Show Movers: Whether your trade show is across town or across the country, rest assured that the professionals at SeaCure have you covered! Don’t delay any longer, and contact SeaCure today with the details of your project. A moving specialist is standing by to speak with you, or you can fill out our Quick Quote Form to receive a free estimate!